Showing results for "laptops notebooks"
Slim and lightweight, this carry case does not bulk laptop up; features a carrying handle for added portability Size: Medium. Colour: Grey. Gender: Unisex. Age Group: Adult. Slim and lightweight, this carry case does not bulk laptop up; features a carrying handle for added portability Size: Medium. Colour: Black And Red. Gender: Unisex. Age Group: Adult. 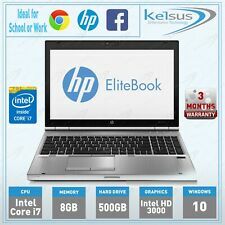 eBay HP Notebook - 14-ac104no (ENERGY STAR) 14 inch laptop, Good Cond Excellent buy!! Stylish sleeve for notebooks from 10; up to 12.5, twin metal puller zipper, protects your laptop from scrathes and impact. Ideal for storing & protecting your laptop in the home or carrying inside your everyday bag. Ideal for protetcing and storing your laptop. Cotton case. Suitable for laptops up to 12.5in. Padded laptop compartment. Water resistant. Manufacturers limited lifetime guarantee. Slim and lightweight, this carry case does not bulk laptop up; features a carrying handle for added portability Size: Medium. Colour: Red. Gender: Unisex. Age Group: Adult. Slim and lightweight, this carry case does not bulk laptop up; features a carrying handle for added portability Size: Medium. Colour: Black And Grey. Gender: Unisex. Age Group: Adult. Raises your laptop screen to eye level to prevent neck strain. Made from plastic. 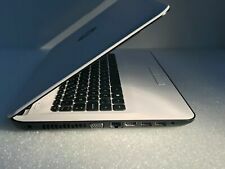 Maximum laptop size 17in. General information: Height 16 to 16cm. Size W32.5, D28cm. Weight 0.28kg. Self-assembly. Slim and lightweight, this carry case does not bulk laptop up; features a carrying handle for added portability Size: Medium. Colour: Blue. Gender: Unisex. Age Group: Adult. Slim and lightweight, this carry case does not bulk laptop up; features a carrying handle for added portability Size: Medium. Colour: Blue And Black. Gender: Unisex. Age Group: Adult. Slim and lightweight, this carry case does not bulk laptop up; features a carrying handle for added portability Size: Medium. Colour: Black. Gender: Unisex. Age Group: Adult. Notebook sleeve with neoprene interior and color cotton exterior coating. Easy sleeve opening thanks to the double pullers which are in simili leather as the logo. Trendy & colourful sleeve. Cotton case. Suitable for laptops up to 15.6in. Laptop compartment. Manufacturers limited lifetime guarantee. Argos.co.uk Port Designs - Torino 10-12.5 Inch - Laptop Sleeve - Grey. Notebook sleeve with neoprene interior and color cotton exterior coating. Easy sleeve opening thanks to the double pullers which are in simili leather as the logo. Trendy & colourful sleeve. Cotton case. Suitable for laptops up to 12.5in. Laptop compartment. Manufacturers limited lifetime guarantee.